There was a time when liquid lipsticks were not easily available in India. Many or should I say most brands did not have liquid lipsticks in their lip cosmetics range. But luckily we have come across a considerable change in this aspect. Now liquid lipsticks have become pretty common and many brands are coming up with a wide variety of them. 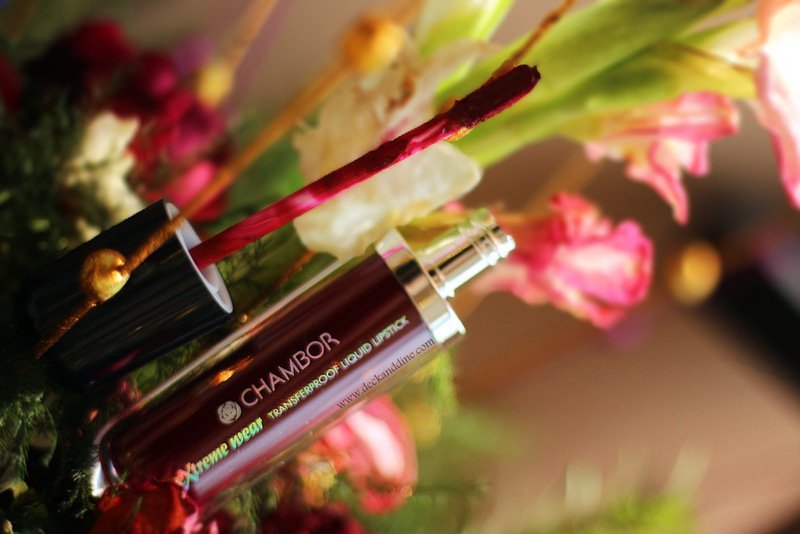 Currently I am obsessing over Chambor’s Extreme Wear range, especially the shades launched recently. I have already reviewed CHAMBOR Extreme Wear Transferproof Liquid Lipstick 407 (you can check the review HERE) few days back and today I will be reviewing CHAMBOR Extreme Wear Transferproof Liquid Lipstick 406. 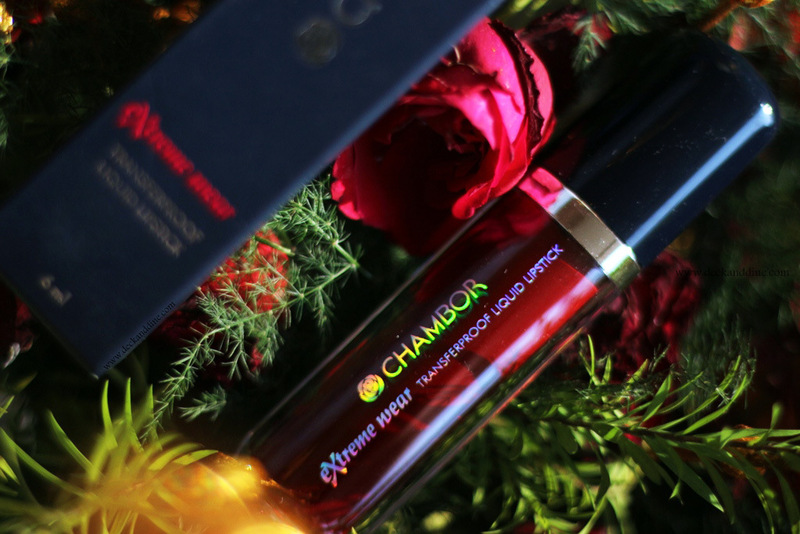 The liquid lipstick comes in a sleek, flat transparent bottle with a screw cap which has the applicator attached to it. The tube further comes housed in a box which has all the details mentioned. The applicator is of good quality and picks up the right amount of product. 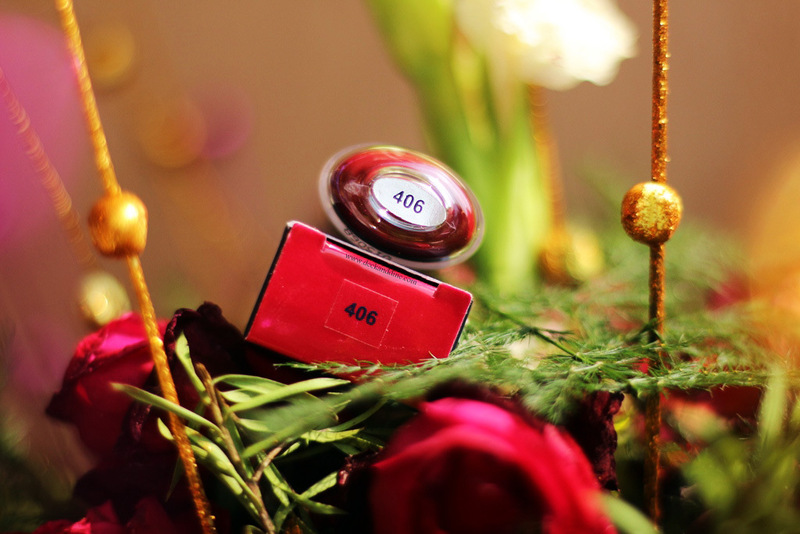 406 is a stunning, rich rose red; the kind of roses which are dark, beautiful and mystic all together. The lip color has right amount of red, maroon and burgundy to it. Bold, beautiful and sensuous. How much dark it will look and how much red it will pull totally depend on the light and skin tone. With this on you don’t really have to worry about rest of your makeup. A savior on no-makeup days; just a swipe it on, put some mascara and you don’t need anything else. It lights up your face in seconds. 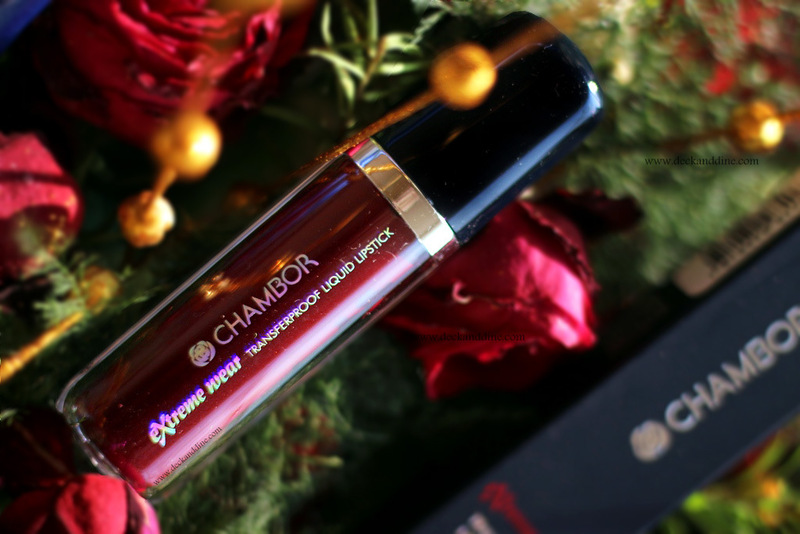 The texture of the Chambor Extreme Wear liquid lipstick 406 is super soft and applies smoothly and evenly without tugging or leaving any streaks. It settles in a very comfortable, sophisticated matte finish. This doesn’t accentuate my dry patches or sink into fine lines. I have dry and flaky lips throughout the year, so I prefer to use this over a layer of Vaseline. Well prepped lips are a must when you are opting for this range. Gorgeously pigmented. One swipe is more than enough to cover lips and obviously any lip pigmentation. It has an amazing staying power as well. It lasted on me for 10+ hours and also fades evenly. It leaves a strong tint behind which looks beautiful and camouflages the fading of the actual lipstick. The tint though looks stunning, is actually a pain to remove. So you have to be careful while wearing it. A mistake can prove fatal as it stains really fast. 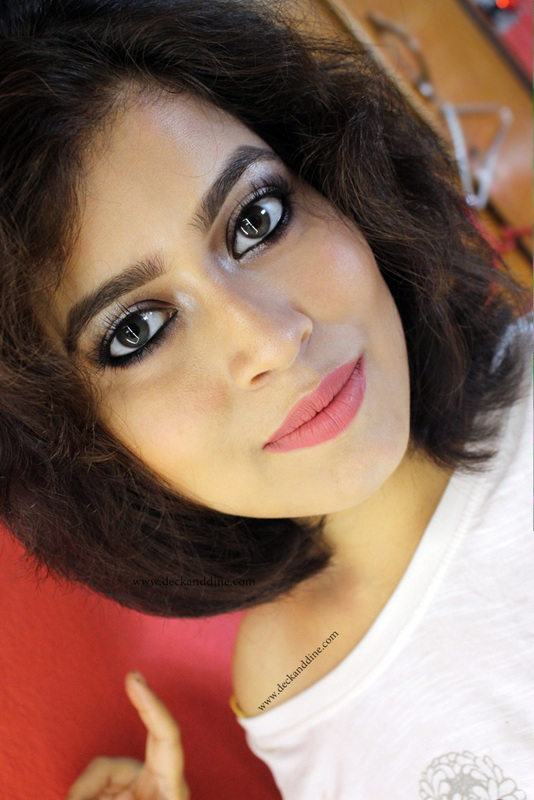 I was looking for a lip color similar to this since long. I love how the underlying red tone makes this maroonish lip color so different from anything available in the market. A very unique shade which I feel is universally flattering. Very fall appropriate. I love this lip color. It looks gorgeous on lips, is soft, velvety, applies smoothly, incredibly pigmented and feels super light on lips. It may take a minute or two to dry, but once it sets, it is absolutely transfer proof. More than good colors, good formula is something I really love you know. 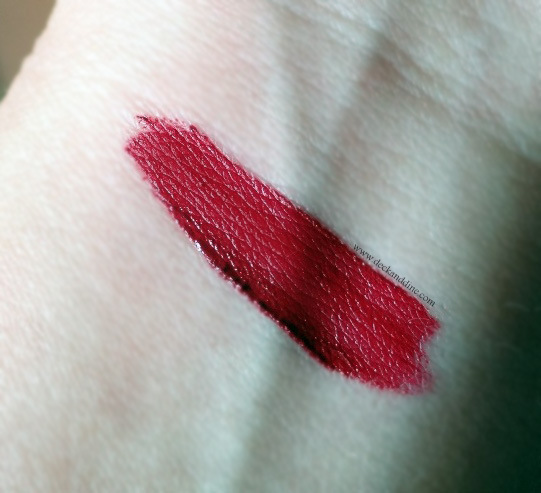 The matte finish is not flat and looks very sophisticated and feels pillowy and comfortable on lips, unlike many liquid lipsticks which make lips look and feel like deserts. The price is a little on the expensive side, but it is so much worth it. Trust me, people have reasons to rave about this range. I love it and you are going to love it as well. Wow this is YOUR red. It’s absolutely stunning on you! What a striking shade. I am jealous of how perfect it looks on you. This is a stunning shade on you! Lipstick envy! Wow!!! Such a beautiful bold shade!!! And it looks amazing on you!!! 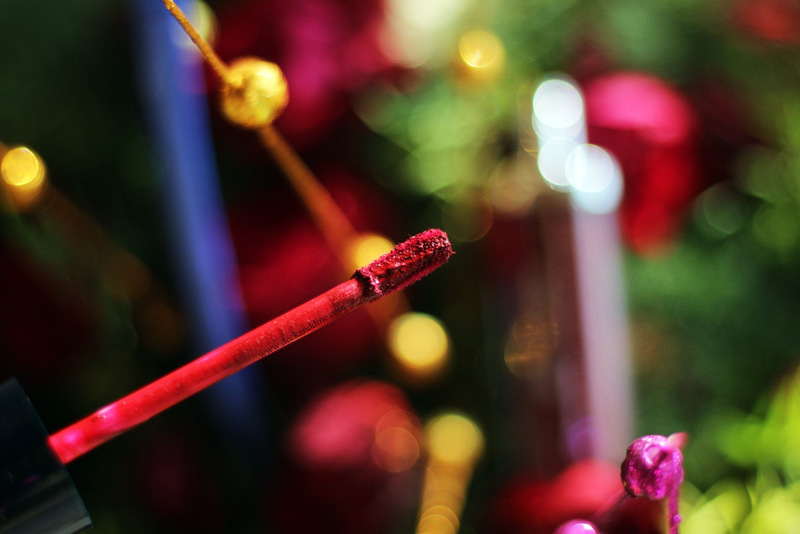 What a great holiday color! That is so bold and you look SO amazing!!! That is SUCH a gorgeous red shade on you! It's a beautiful color and you look absolutely stunning in it.